Meeting the individual needs of each biker is always a challenge because no single bike is perfect for everybody. If you're a novice mountain biker and you want to know about mountain bike (MTB) brands, just Google, and you'll see quite a few two-wheelers of all kind. If you're stinking rich, you probably would go for the most popular, the most expensive. On the other hand, if you're tight on the budget, you might opt for the low-priced ones. Nevertheless, choosing a bike that best suits you is more than just the price. 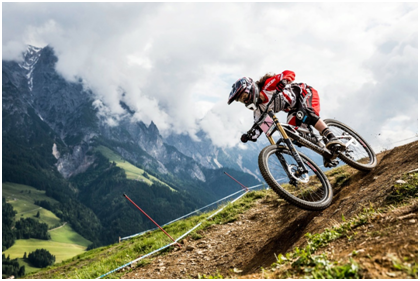 The first thing in deciding for the right mountain bike brand for you is to know your personal riding preference and needs because these bikes have evolved in different styles, depending on how and where the biker wants to use them. Do you want to go downhill, or want to ride on smooth flowing trails? What about climbing big mountains? Or do you just want to have relaxing fun on the streets? Here are some types of mountain bikes for different types of needs. Consider this the ultimate guide to buy the best mountain bikes. Cross country racing was born around the same time as its BMX counterpart. It involves gentle to moderate terrain. Cross country bikes are lightweight and fast. These bikes are made up of aluminum and carbon fiber composites. Trail bikes are the kind most often chosen by recreational bikers or what we call weekend warriors. Your co-workers ride them to and from the office while kids play around with them to improve their biking skills. They are similar to cross country bikes but are heavier and sturdier. Trail bikes are meant for moderate terrain on man-made urban trails or light, natural trails outside of town. Dirt jumpers (whether on the street or on the dirt), need lightweight bikes that are well balanced. Kickouts and bar-turns have handlebars that move freely, so the brakes on these bikes are only in the rear. Low seat posts make flipping easier, while strong frames are able to withstand the punishment of missing the landing. The mountain cross bike is a racing bike that can be used in situations that require downhill speed, has plenty of obstacles, and up to four other riders all trying to occupy the same space. Mountain cross bikes are rugged and yet responsive. They tend to have rigid frames, hardtails, and a slack tube head angle. Once you've already decided on the kind of bike you need, this is the right time to ask how much money you are willing to spend on these MTBs. If you're a new biker, no further look is needed because with just a couple of clicks on your computer, you can have a list of the top mountain bike brands on the market and their corresponding price. Here are some of the more popular ones: Trek, Schwinn, Giant, Cannondale, Mongoose, Raleigh, Diamondback, Fuji, Haro, Shimano, Haffy, Gary Fisher, and Ellsworth. Of course, consulting an expert with MTBs is still the best. Personally asking a mountain bike enthusiast can give you more useful and foolproof information about mountain bike brands, as well as useful mountain biking techniques so you can get the most out of your MTB. After all, these enthusiasts have more experience with these bikes and therefore are more reliable about the facts of mountain biking.